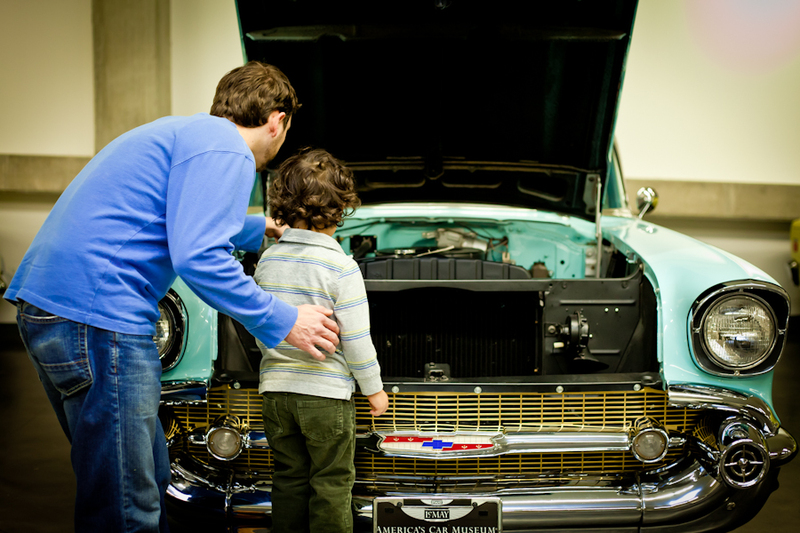 Bring dad to ACM, June 13 – 22, and join us for our fifth annual Hoods Up for Father’s Day event. We’re putting the hoods up on 100 cars to celebrate Father’s Day! We will have modern conventional and high powered engines on display as well vintage and early experimental engine power; see how cars were powered without computers. 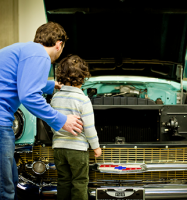 We have selected a variety of engines to have on view to make dad’s day extra special! Shopping for a Father’s Day gift just got easier. Give dad the Gift of ACM Membership and a virtual track day! All Gifts of Membership purchased June 1 – 22 will automatically include the Father’s Day Package items listed above. Then, enjoy the new Exotics@ACM: Seductive Supercars exhibit when you visit! Gifts of Membership ordered online will be mailed. To give a Gift of Membership or for more details click here, call 253.779.8490 or visit the Museum. For only $25, Dad gets admission to ACM, plus a $20 credit to enjoy in the ACM Store. Let Dad choose his own gift in the ACM Store! This offer is available June 13 – 24. 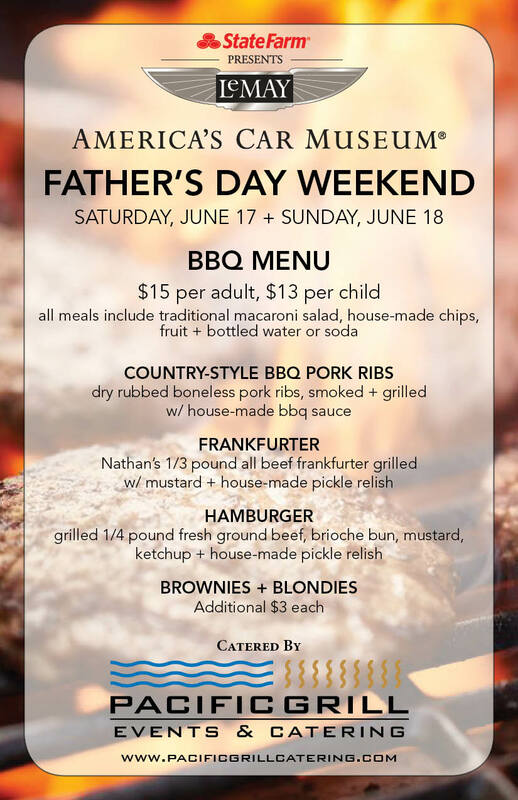 Pacific Grill Events & Catering is hosting a special BBQ on the Anderson Plaza for Father’s Day! Choose from boneless BBQ pork ribs, hot dog or hamburger. The meal also includes macaroni salad, house-made potato chips, fruit and a bottled water or soda. ACM Members get a 10% discount. Don’t forget to add dessert! Brownies & blondies will be available all day for $3. *Classics by Pacific Grill will be serving a limited menu of desserts & drinks in the mezzanine.